In 2003 the borders between the North and the South of Cyprus opened up and travellers then had the opportunity to visit the island in its entirety, getting to witness the similarities and contrasts in its character and to explore what had previously been shut off from the world. Today, the North is still very much a hidden gem of Europe, with beautiful nature, luxurious beaches, friendly accommodation and plenty of fascinating history. Getting there is much easier too, with a huge range of UK departure airports, flight routes, airlines and times available to choose from. For North Cyprus holidays there are three airports you can arrive into which include: Larnaca, Paphos, which are south of the border, and Ercan in North Cyprus (via a brief touchdown in Turkey). From Paphos it takes about 140 minutes drive to Famagusta and 150 minutes to Kyrenia. From Larnaca it takes 50 minutes to Famagusta and 90 minutes to Kyrenia. Ercan has the quickest transfer at just 45 minutes to both Famagusta and Kyrenia, though also has the longest flight, which is 6+ hours, while to Larnaca and Paphos it is only 4, equalling out the time it takes to get to there from each route. The best thing about there being three different ways to get to North Cyprus is that this offers a lot more flexibility when it comes to where you can fly from and the times you can go. Choosing to travel with a specialist tour operator to the destination is a good way to get the fullest range of these available choices. Direct Traveller in particular have been directing holiday goers to the delights of North Cyprus for 11 years, and offer over 220 flight routes from 19 UK airports. This includes all of the major London serving airports, along with others that are scattered around the country, such as Birmingham, Exeter, Manchester, Cardiff, Edinburgh and much more. This saves travellers a lot of hassle, meaning that chances are they’ll be able to find a flight from an airport near to them. It also provides the opportunity to save some money or to find your ideal time through the flexibility of being able to perhaps change your airport decision and opt for one that has cheaper flights. There’s no sure way to find cheap flights as they are constantly fluctuating, depending on how far in advanced you’re booking, which airline you’re flying with, when you’re going and where you’re going from. Every little detail can make a difference, and so in order to get the cheapest deals on your flights it’s always advisable to be as flexible as you can. 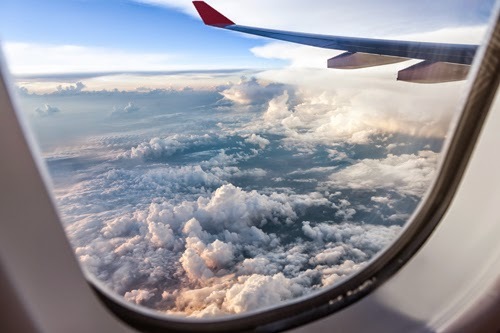 Booking ahead of time and also choosing to travel in off peak times (for example, not in July or August) are ways that will ensure you slightly cheaper flight prices. The cheapest of the routes to North Cyprus is via Larnaca, as this is offered more commercially by many different airlines and airports, with over 120 flight options that provide a larger range of price options to choose from. There are many flights to North Cyprus via Turkey, or non-stop direct flights to Larnaca. Looking at both, you may find that a flight and transfer package to Larnaca airport (south of the border) will be cheaper than flying to Ercan in North Cyprus. Mainly due to availability with a range of airlines, this gives you a higher chance of finding your flight deals for a good price. The inclusion of a transfer also means that you’ll get to enjoy the changing scenery of Cyprus on a relaxing drive all the way to your accommodation. Do your research, or contact a company such as Direct Traveller who has access to all flights to the island.